Melody is not like most people. She cannot walk or talk, but she has a photographic memory; she can remember every detail of everything she has ever experienced. She is smarter than most of the adults who try to diagnose her and smarter than her classmates in her integrated classroom--the very same classmates who dismiss her as mentally challenged, because she cannot tell them otherwise. But Melody refuses to be defined by cerebral palsy. And she's determined to let everyone know it...somehow. 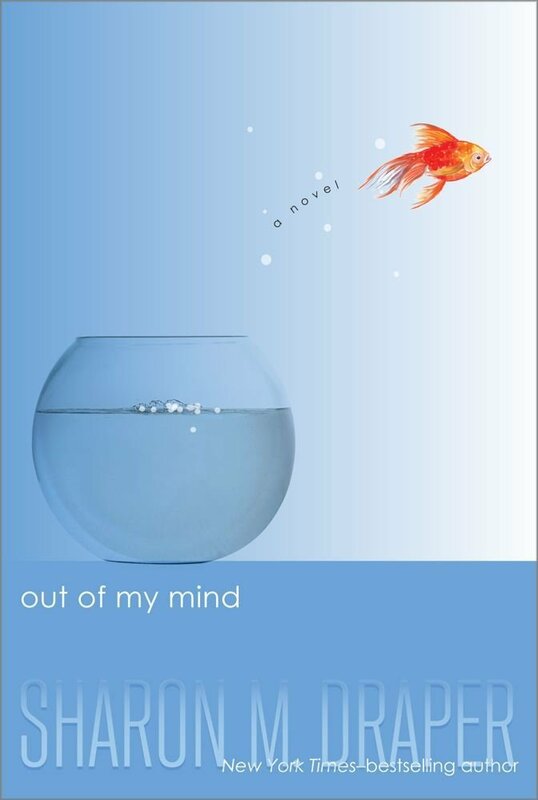 In this breakthrough story--reminiscent of The Diving Bell and the Butterfly"--from multiple Coretta Scott King Award-winner Sharon Draper, readers will come to know a brilliant mind and a brave spirit who will change forever how they look at anyone with a disability. This is a book that has shades of Wonder by RJ Palacio and even a bit of Stargirl by Jerry Spinelli. The voice of this inspiring story is Melody, a girl with cerebal palsy. As a reader we get to be inside Melody’s head and we can see how smart and funny she is, but the rest of the world sees a girl in a wheelchair who can’t talk and dribbles a lot when she eats. The introduction of an amazing piece of technology that allows to Melody to ‘speak’, and all of a sudden everyone can see that Melody isn’t the ‘retard’ they thought she was. It’s this ability to communicate and participate that cause a lot of people become uncomfortable, and when Melody makes it onto the Whiz Kids competition, and has the chance to compete on television, plenty of students are not happy with the fact that she is actually smarter than they are. The aspect of the story that reminds me of Jerry Spinelli is the honesty of the story. It’s not necessarily going to end up with everybody being the best of friends, and while I can’t give anything away, there is an event towards the end of the book that shows no matter how smart Melody is, there are plenty of people who still can’t deal with her differences. This book does have to come from the US, but it’s well worth a read.